10 models. More than 120 sensors. Industrial Protocols on Plug & Sense! 10 models integrating more than 120 sensors. Add or change a sensor probe in seconds. Solar powered with internal and external panel. 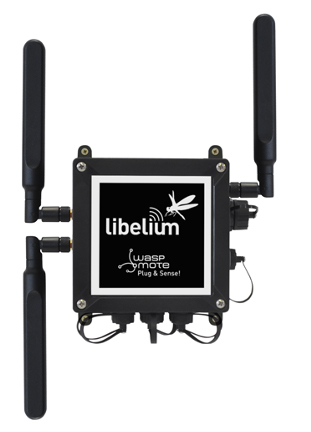 Radios: 802.15.4, 868, 900, WiFi, 4G, Sigfox and LoRaWAN. Over the Air Programming (OTA). Special brackets ready for street lights installation. 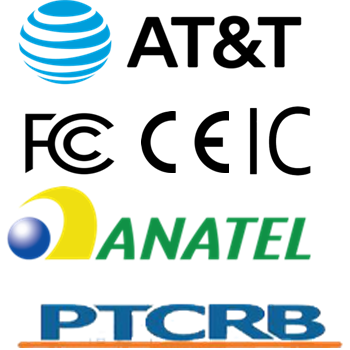 Fully certified for the main markets: CE, FCC, IC, ANATEL, RCM, PTCRB, AT&T. Sensor probes can be attached easily by just screwing them into the bottom sockets. 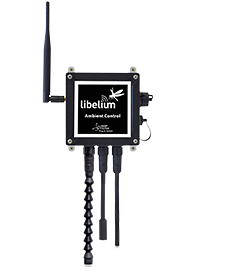 This allows you to add new sensing capabilities to existing networks in just minutes. In the same way, sensor probes may be easily replaced in order to ensure the lowest maintenance cost of the sensor network. Battery can be recharged using the internal or external solar panel options (common USB-recharging is of course another option). 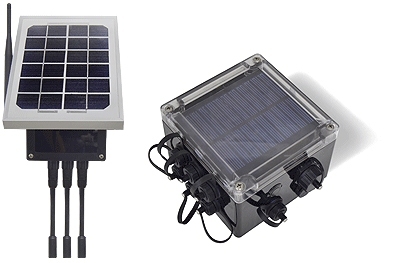 The external solar panel is mounted on a 45º holder which ensures the maximum performance of each outdoor installation. For the internal option, the solar panel is embedded on the front of the enclosure, perfect for use where space is a major challenge. The rechargeable battery has a load of 6600 mAh, what ensures non stop working time during the weeks where the sunlight is lower. Waspmote Plug & Sense! counts with holders specially designed for outdoor installations in street-lights and building fronts. Metal cable ties are provided to easily adjust the node to street light posts. Installation can be done in minutes as you only need to tie the cables on the enclosure holders and then to the post. Once the node is secured just press the on button and the node will start automatically to send the data gathered from the sensors to the Gateway. There are multiple radio options in order to communicate the sensor nodes with the Gateway. 802.15.4, 868 and 900 are used commonly in order to create local, start topologies. 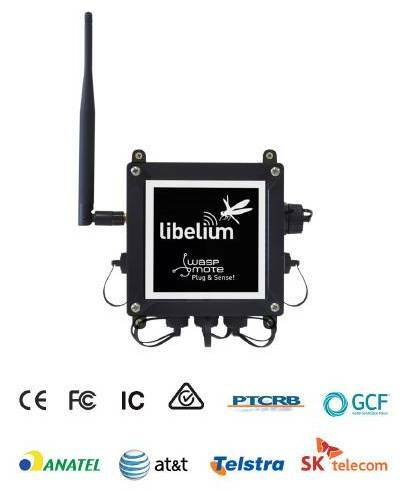 WiFi can be used to connect with any WiFi AP while the 4G radio can be used to send the sensor data directly to the Cloud without using an intermediate Gateway. Sigfox and LoRaWAN modules are special for IoT applications and get very long range links. 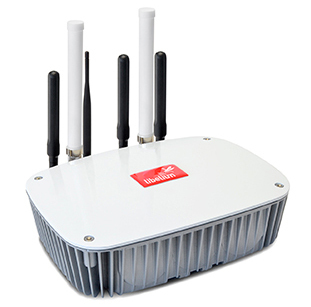 802.15.4 (2.4 GHz), 2 versions: Europe and world. 4G, 3 versions: Europe/Brazil, US and Australia. 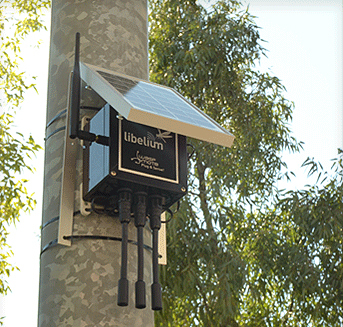 The 4G module features a GPS receiver which allows to easily perform real-time tracking applications. The idea is simple: read the GPS coordinates (longitude and latitude) and send them by using a HTTP request to a web server along with extra information from the sensors included in the node. 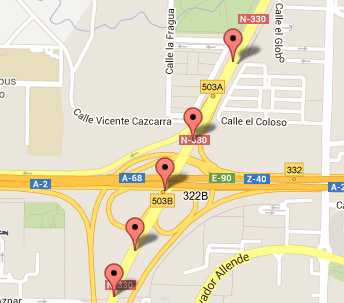 Then use a browser to load the PHP webpage which uses Google Maps to show the location in real-time. 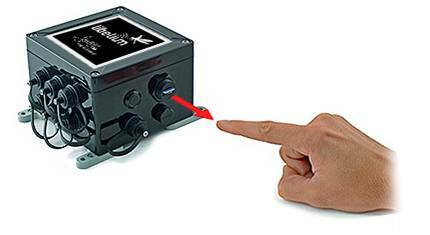 Connect your industrial devices to Plug & Sense! Plug & Sense! 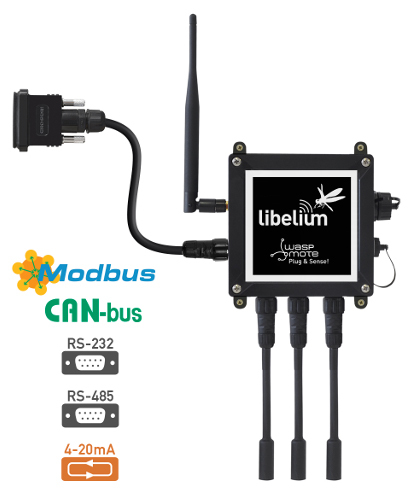 units are able to connect with the most common industrial communication protocols: RS-232, RS-485, Modbus, 4-20 mA (current loop) and CAN Bus. 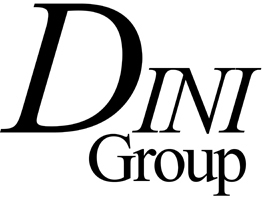 This feature opens a wide variety of applications for industrial sensing and automation, military, automobile, vehicle tracking or remote factory management. Connect any sensor to an existing industrial bus. Add wireless connectivity to wired buses. Plug & Sense! models with 4G radio have an External SIM socket which allows developers to easily add and change a carrier SIM card in order to connect the devices to any 4G / 3G / GPRS / GSM cellular network. The sensor data gathered by the Waspmote Plug & Sense! 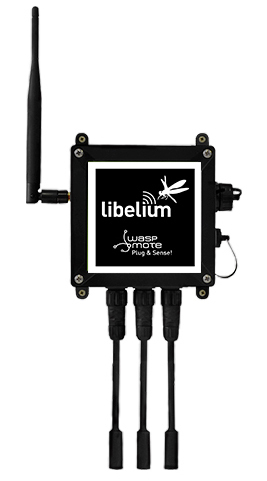 nodes is sent to the Cloud by Meshlium, the Gateway router specially designed to connect Waspmote sensor networks to the Internet via Ethernet and 4G interfaces.